Here's a fun one, Lord of Dwarves from developer Stellar Sage Games is a game about helping a kingdom of dwarves survive, build, and prosper. It's made on Linux too and releasing in Early Access in March. The developer emailed in about it and to let everyone know that it was "developed in Linux using only open source software". You can actually see them showing it off on Ubuntu in a recent video. While it's going to be in Early Access, they told me it's "feature complete with a full campaign and sandbox mode" with the extra time being used for feedback and to polish it as much as possible. Follow it along and wishlist on Steam. It should be available on March 8th, I will take a look and give it some thoughts at release as the developer has already kindly provided a key for testing. Would like a Stronghold style game on Linux , so let's see. The concept sounds interesting, but tbh, the visuals look like it's in very early alpha stages, so hopefully that's part of what was meant by polishing it up. Always great to see developers openly using Linux though. Elvanex The concept sounds interesting, but tbh, the visuals look like it's in very early alpha stages, so hopefully that's part of what was meant by polishing it up. Always great to see developers openly using Linux though. You obviously never played Dwarf Fortress or the original Rogue. Dwarf Fortress is more beautiful imho. My second-last embark was in a mountain biome, and it was just stunning to see dozens of ASCII flowers start to bloom in spring. lol, you do realize you are trying to compare 2 much older games to one that is coming out this year, right? Also, I have tried to play Dwarf Fortress, but it's UI is waaay too cumbersome. Which is a shame, because it's an amazing game. 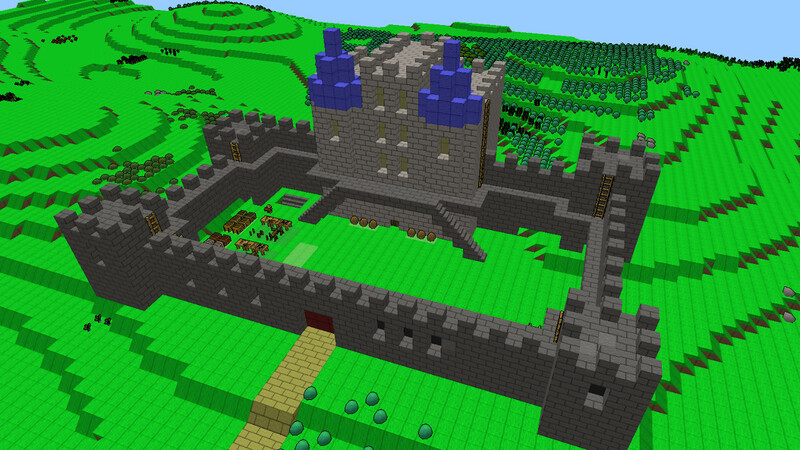 Those two games may be older, but Dwarf Fortress is still being developed today. Not sure about Rogue, but NetHack (a successor) and Brogue (another successor) are still under development. They are all quite popular and that proves that many people actually care more about gameplay than a glossy finish. Not to mention all the games claiming to be "rogue like" or those similar to Dwarf Fortress. I think you're missing my point... But whatever.